Most of you may be familiar with his work on Facebook and if you are, you fit into one of two categories: you either love it or you hate it (majority seem to be in category A). 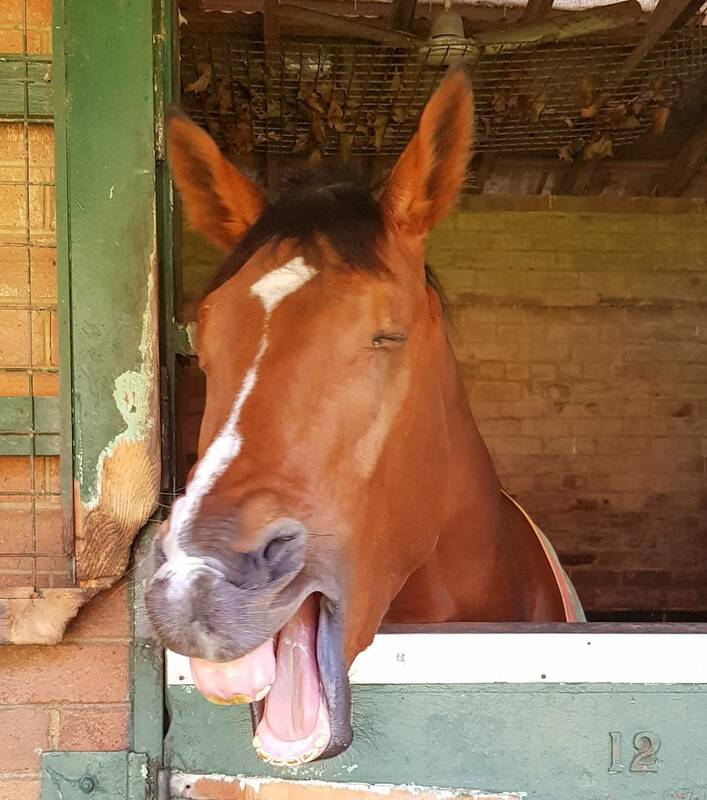 You may have been at a Saturday race meeting (Royal Randwick/Rosehill Gardens) or a midweek race day (Canterbury/Warwick Farm) and seen him near the finishing post.Â Possibly, you may have even got of out of bed in the early hours of the morning to watch trials and yep….. you have probably seen him there. 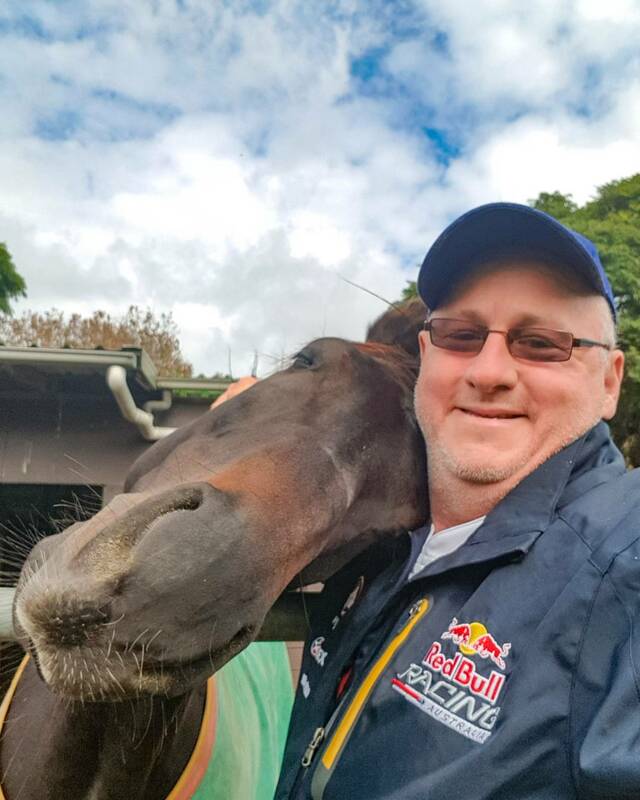 He brings many of us so much joy through his photographs of the equine stars, getting right up close to ensure the perfect winning shot and capturing the joy in the jockâ€™s face as they cross the line in first place and when returning to scale a winner, but who is the man behind the camera? It is none other than our Winning Wednesday Star – Â Daryl Duckworth of Daryl Duckworth Photography.Â Take it away Daryl!!! 35 odd years however with a few years off in-between whenÂ my mother was not well. What made you want to photograph horses? I have always admired how they carry themselves and how majestic they are. I really don’t think there is a more beautiful animal than the horse. It is clear in some of your pictures that you have a bond with the horse, when and how did this develop? Never got quite close enough before the working with them at Anthony Cummings, so I guess not long ago. Maybe they can sense my respect and admiration for them so feel comfortable around me. I just enjoy the whole business of racing. A lot of people donâ€™t understand how much work is put in behind the scenes to get the horses to the track on race day and itâ€™s good to get it out there in photos that capture the moments the general public donâ€™t get to see. Which is your favourite horse that has won and why? Thatâ€™s a hard one! So many but the win that sticks in my mind is “roughy” Rough Habit and Jim Cassidy weaving their way through the field to win the 1992 Stradbroke in Brisbane. One of the best ever! 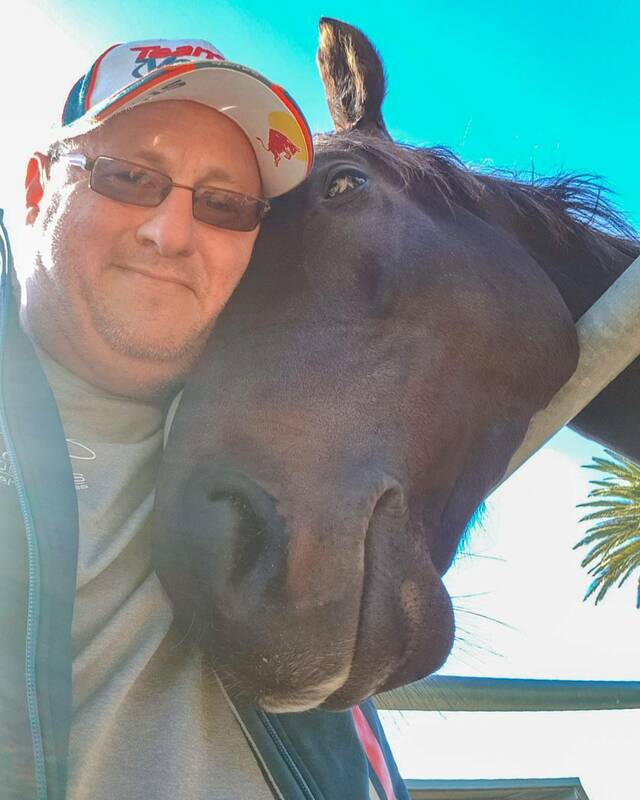 Do you have a good story about a horse that you love? Always enjoy watching horses that arenâ€™t rated highly in a particular race get up to win and carry the form on like Man From Uncle last preparation. One would argue that I love Winx- just need to look at my Facebook and I have captured heaps of the champion mare! 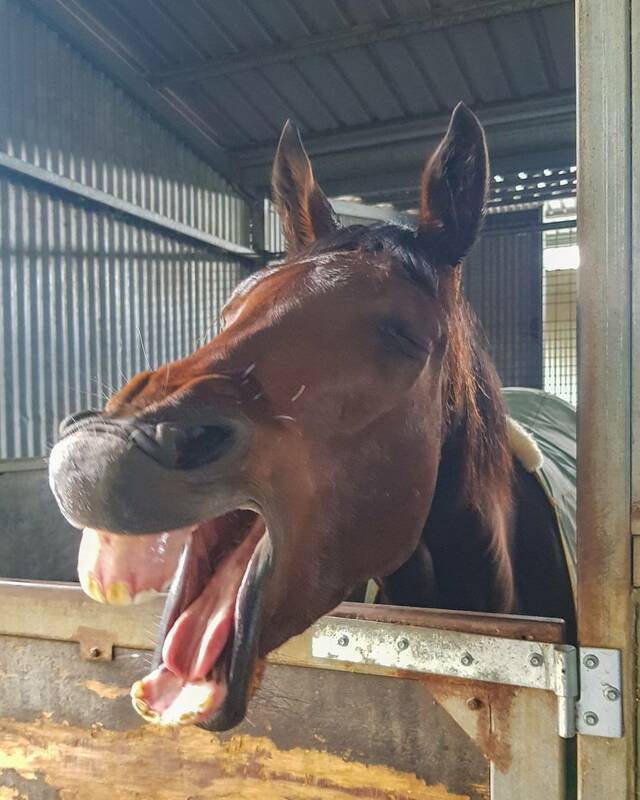 But then again, who doesnâ€™t love Winx at present. 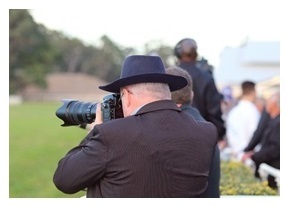 If you werenâ€™t a photographer, would you have another job in racing? If so what would it be and why? I would hope so. Definitely not Jockey material haha, so would have to be something behind the scenes. What is your favourite and least favourite thing about what you do? Favourite thing is getting out and about and watching the horses give their all and just being able to capture an image thatâ€™s unique to myself. Worst- Probably editing, but technology is improving all the time so is getting less time consuming which means I get more time to relax with my cat, when he is not stretched across my keyboard wanting attention. When looking through your lens, what are you looking for before you press the button to take the picture? Just framing an image, background and foreground can be just as important as the subject in my opinion. With the horses timing an angle are the things I keep in mind. When one of your favourite horses wins, do you do anything special to celebrate? Or how do you celebrate success in general in your life? I stopped drinking two and a half years ago so probably Â just a strong coffee. I donâ€™t need alcohol to enjoy myself anymore so just spend time around close friends and enjoy the success. What does winning in your life mean to you? Itâ€™s not the be all and end all. Itâ€™s nice of course and everyone wants to do it and feel it, but you have to enjoy the ride of life, you only get one life to live. Whatâ€™s next for Daryl Duckworth? 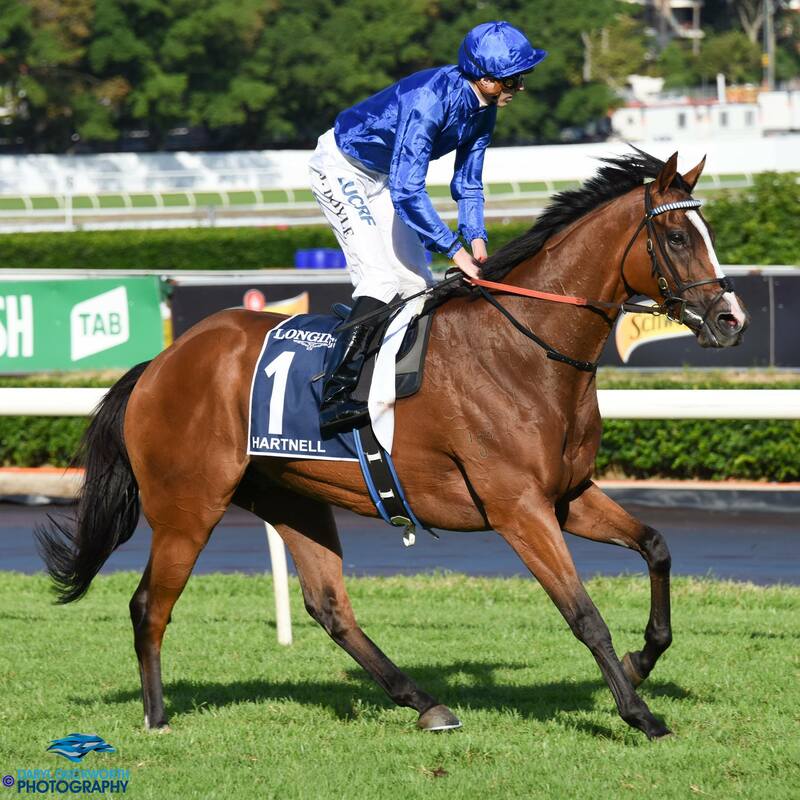 Is racehorse ownership on the cards? Once settled in Canberra will definitely be looking into it. Next Fashions on the Field – If First you Don’t Succeed to Now Rightfully the Style Queen!